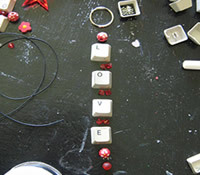 Try your hand at making your loved one their own handmade, recycled keyring from an old computer keyboard with this Valentine's Day craft. All you need is some beads and a little love. 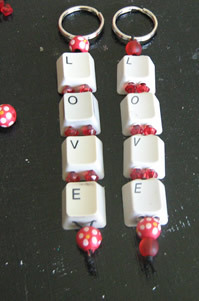 Save the planet by upcycling your old keyboard and making a special gift! 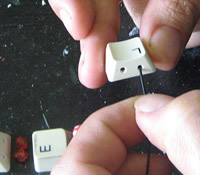 All you need for this craft is an old computer keyboard to take apart. Keep all the little bits for another project later. You will be surprised at all the fun bits inside a keyboard! 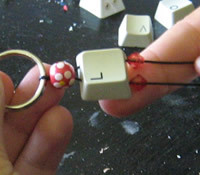 The first thing you would need to do before getting started on your love keyring is to do some recycling and help save the planet by preventing that old keyboard from becoming part of a landfill. Grab a screwdriver and pliers and take it apart. Some of the keyboards have nice flat keys while other have ones with attachments at the back. Find the ones that are nice and flat at the back or you're going to have to break the back off before you start. You will fine some keyboards are easy to take apart and others a bit more tricky, but remember, we're trying to destroy it here rather than make it - so don't stress about breaking it too much! Give the letters a good scrub to make sure they're nice and clean. The letters won't wash off, dishwashing liquid and a scrubbing brush work well. 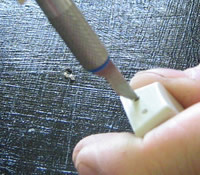 With your craft knife, make two holes in the top and two holes in the bottom of each key. Space them so they're not too close together for more strength. Make the hole big enough so the waxed cord will fit through. 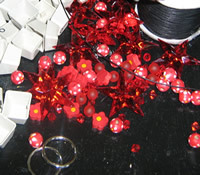 Lay your recycled keys on the table and place your beads between them to work out your design. Make sure you place two beads next to each other inbetween the keys, otherwise the keys tend to spin around. Once you're happy with your layout and design - it's time to begin. Cut a piece of wax cord long enough to be doubled up and for your keyring. Cut a little extra for knots and spacing. Begin by threading the waxed cord through the keyring and folding the cord in half so the key ring is in the middle of the string. 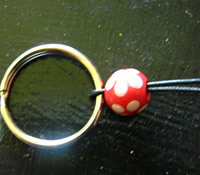 Thread a big bead onto both bits of waxed cord to hold the keyring in place. Now you need to separate the two strings and thread one through each hole in the top of the letter L. Thread it through the key and out the bottom on the same side it went in. Thread a small bead on each string. Follow the steps for the rest of the letters until you have placed the letter E in place. 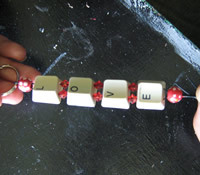 Once the letters are all in place you can tie a bead or two at the bottom to finish off your artwork. 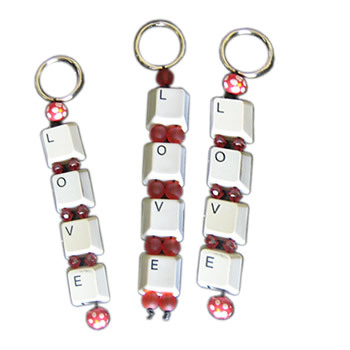 You can also make this computer keyboard keyring with the letters of your name or even make an office and home set of keys.